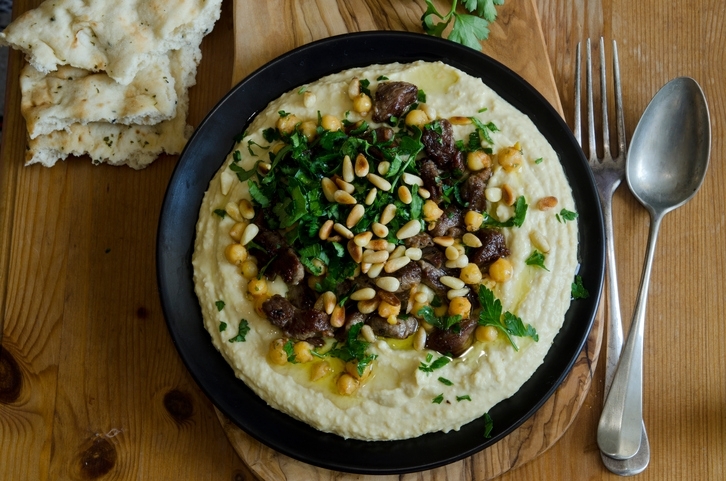 This year has been awesome for Jewish food – amazing Jewish cookbooks came out, Israeli food was consistently celebrated in the news and new eateries keep opening truly declaring: Jewish food is beloved by all and not going anywhere. Oh Jewish food – I am totally shepping nachas for your accomplishments this year. Mazals. 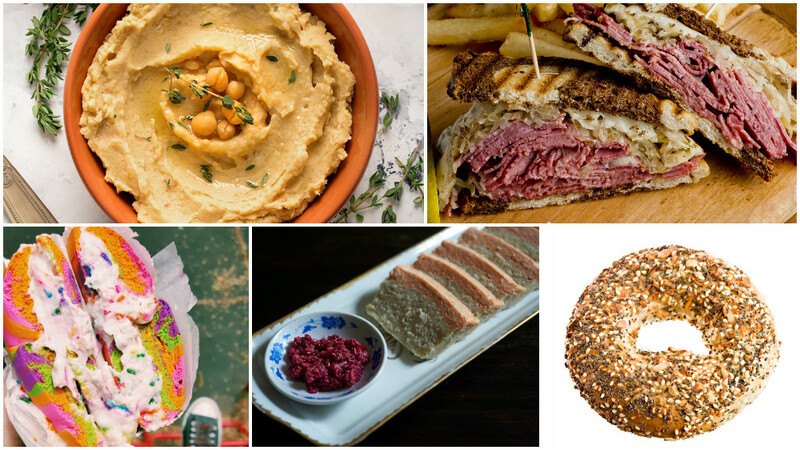 Here are my favorite Jewish food trends this past year. Can’t wait to see what 2017 brings. Israeli food has truly conquered America this year. From Alon Shaya sweeping several culinary awards for his New Orleans-Israeli inspired restaurant Shaya, and Michael Solomonov’s award-winning cookbook Zahav and expansion of his hummus restaurant, Dizengoff, in NYC, to shakshuka being the brunch dish of the moment and many other Israeli-owned and inspired eateries cropping up in cities throughout the U.S. – Americans have truly taken notice of delicious and diverse Israeli food. Five years ago when I thought of gefilte fish, I could only picture that jarred, grayish fish-like substance my grandmother served for Passover. It looks like wet dryer lint. 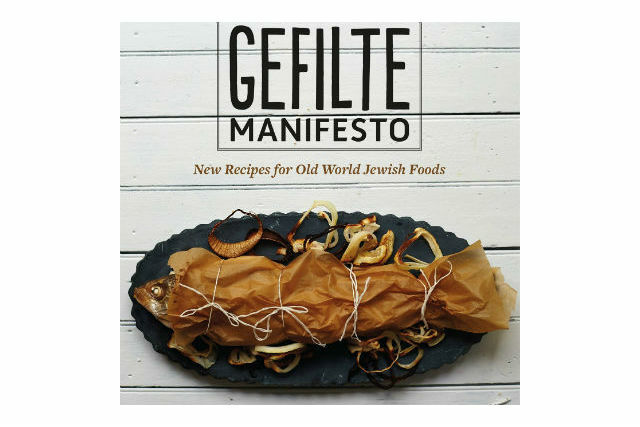 But today when I think of gefilte fish, I can only picture the bold, stunning cover of The Gefilte Manifesto. Jeffrey Yoskowitz and Liz Alpern managed to take one of the saddest, most despised Jewish foods and make it fresh, modern and delicious when they first launched The Gefiteria several years ago. And they didn’t stop at gefilte fish – with the release of their cookbook earlier this fall, they introduced us to more beautiful, traditional Jewish recipes for kugel, kvass and challah with their own fresh, Gefilteria spin. But more important than the recipes themselves, Jeffrey and Liz helped catalyze a Jewish food revolution and challenge us all to root ourselves in tradition while creating new recipes for a modern palate. We saw everything topped donuts. Everything topped croissants (from my favorite local bakery). And even our own everything bagel latkes. Chefs and cooks and bloggers and bakers – everyone was obsessed with putting everything bagel topping, made up of sesame seeds, poppy seeds, dried onion and garlic, on as many creations as they could. And I am not upset about it one tiny bit. 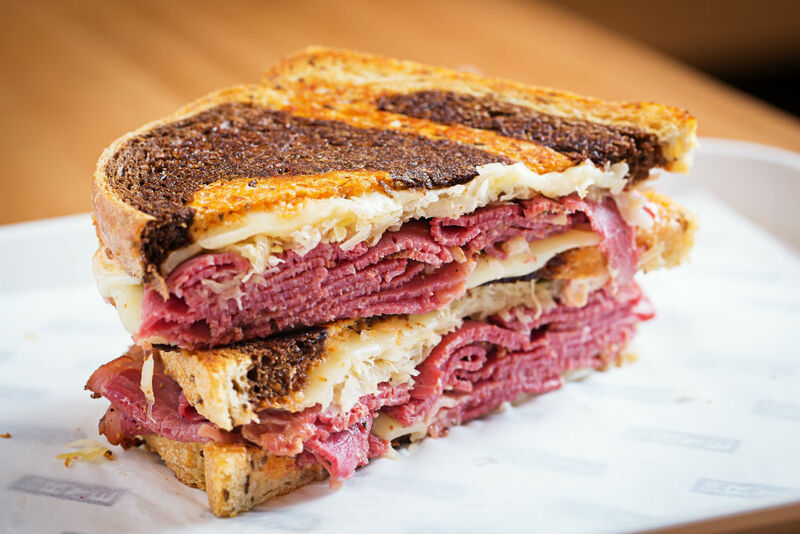 While some of the oldest, most iconic Jewish delis like Carnegie Deli in New York City will be closing in the coming year, there seems to be no stopping the enthusiasm for newish Jewish delis continuing to crop up all over the country: Mamaleh’s in Boston, On Rye in Washington, DC and The General Muir in Atlanta all opened their doors this year to rave reviews and youthful enthusiasm. I love this trend, and hope to see even more businesses cropping up in 2017. 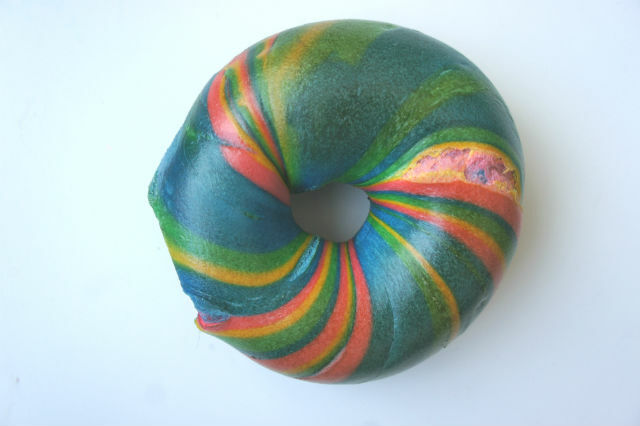 Rainbow bagels were just the beginning. Then came overstuffed oreo cookie bagels and crazy sprinkle cream cheese. Cream cheese stuffed bagel holes. And even a truffle bagel cheeseburger. I am a purist when it comes to eating bagels – plain or salt bagel with cream cheese, and maybe some lox if I’m feeling fancy. 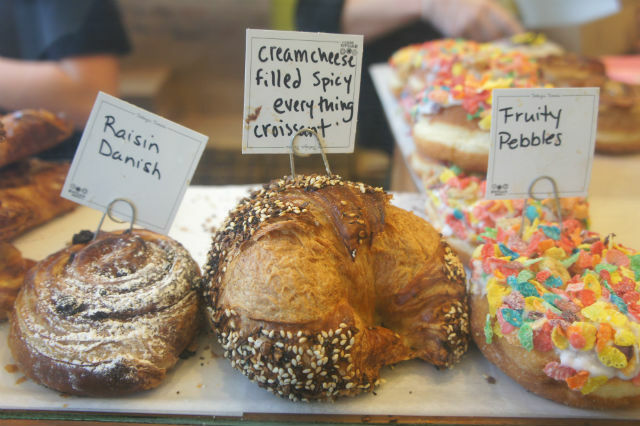 But still – it’s hard not to drool and gawk at the photos of beautiful, colorful, completely crazy bagels. Want to make your own rainbow bagels? Try Whitney Fisch’s recipe at home.